In today’s seemingly fully developed world, there are still opportunities to make great discoveries and enjoy extraordinary cruises. Where large cruise ships have to turn about or can only sail past, you will experience a renaissance of wonder. Regions that often have no beacons, pilots, harbours, hotels or airports. These are the expedition destinations of the BREMEN and our new expedition ships HANSEATIC nature, HANSEATIC inspiration & HANSEATIC spirit, where your curiosity sets the course. Rather than journeys from A to B, these ships offer intensive discoveries from A to Z. 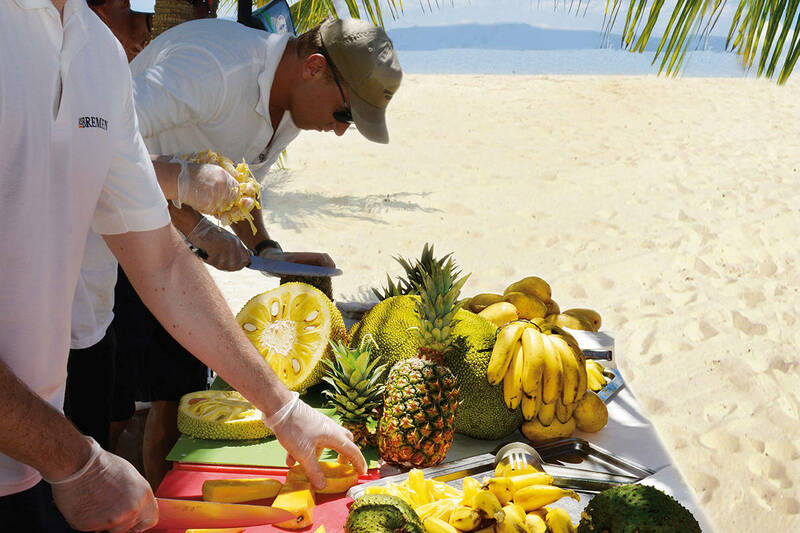 A team of prestigious experts in various fields accompanies every cruise. Wise minds who, as well-travelled cosmopolitans, translate the essence of their professions to passengers as passionate speakers. in fascinating presentations and personal conversations. 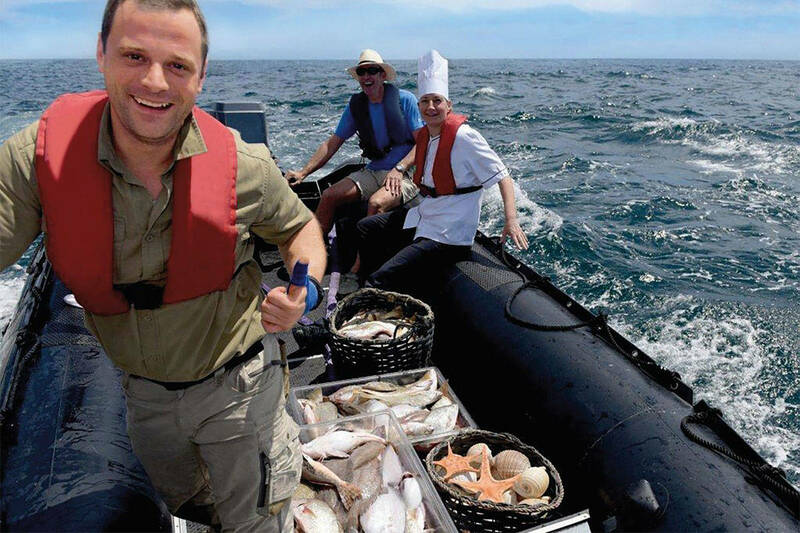 Broadening horizons: whenever possible, you will head ashore and out in the Zodiacs with our experts. This reveals exciting background information and trains you to spot extraordinary things that other travellers would miss. Priceless if this fixes your attention to a particular experience just at the right moment. A new perspective on nature and culture: complex links and scientific research are made understandable with “living” examples. Our experts have visited each destination many times and conducted in-depth studies and research or written about them in books. As a result, they serve as travel companions, field guides and bridges between cultures. Our expedition ships as a place of learning: as part of short excursions together and on plenty of Zodiac rides with your experts, you will gain exciting insights and learn new information. On board, interesting exhibits turn into exciting research subjects. Examining, discussing and looking under the microscope will quench your thirst for knowledge. For these great seafarers, the waterways of the world’s oceans were unpredictable routes filled with unknown perils. Today, the uncertainties and hardships of earlier explorers have given way to the many years of experience of the people on board our expedition ships. 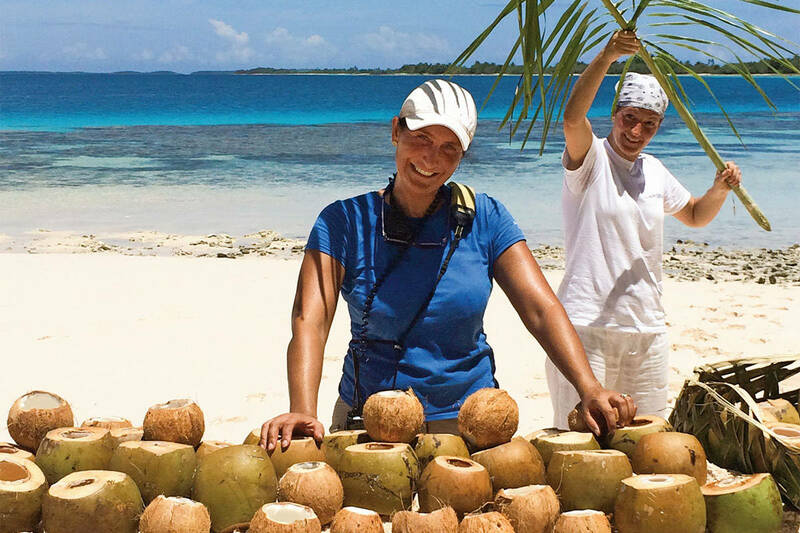 However, the passion for new destinations has remained and will ensure unforgettable moments during your expeditions. The 85th line of latitude – 480 km from the North Pole. Thick fields of pack ice cover the water. There seems no way of getting through this untouched landscape of ice with its bizarre floe shapes. 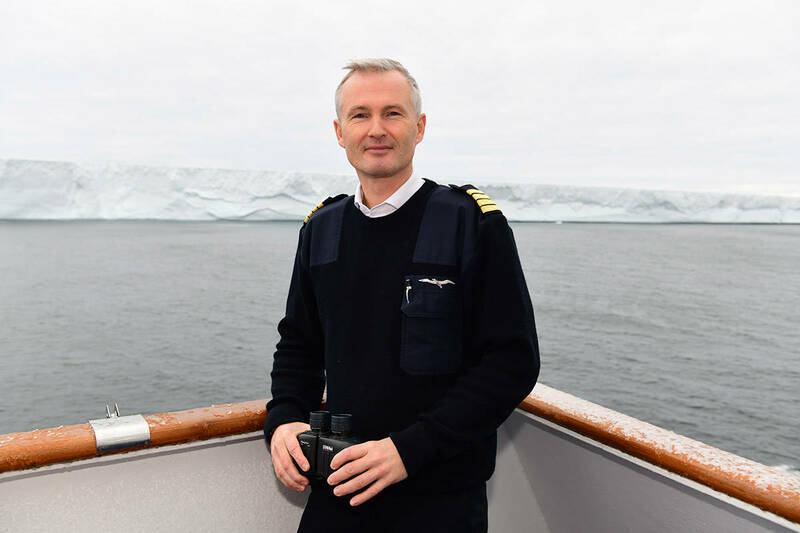 But thanks to the long-time experience of the people on board – the captain, officers, expedition leaders and cruise directors – even spectacular routes like the Northeast Passage will be conquered. They know where to find the most beautiful aspects of the polar regions. Accompanied by the sound of ice rumbling at the hull, the ships will carve through these massive obstacles, which most vessels simply cannot manage. 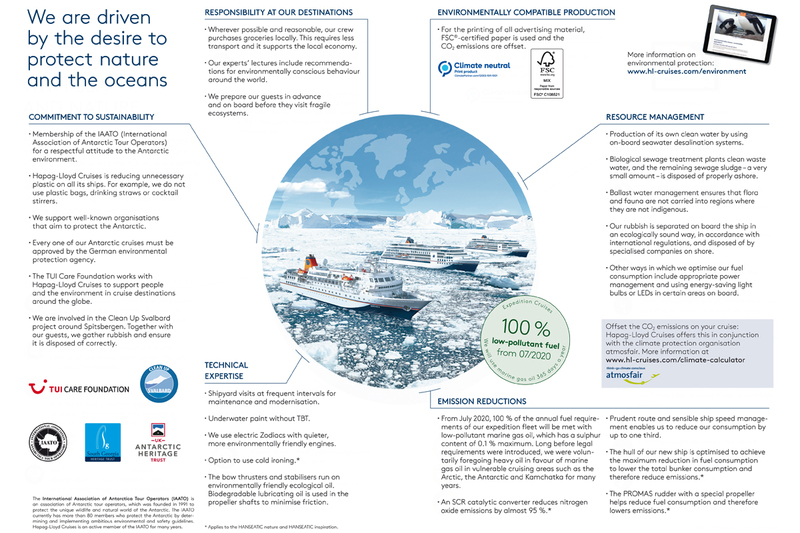 Our expedition ships are certified with the highest ice class for passenger ships (E4 resp. PC 6), and they will safely transport you to breathtaking, unspoilt regions. The team on board know where to halt the ship to present you with striking panoramic views – such as the fjords of Greenland. 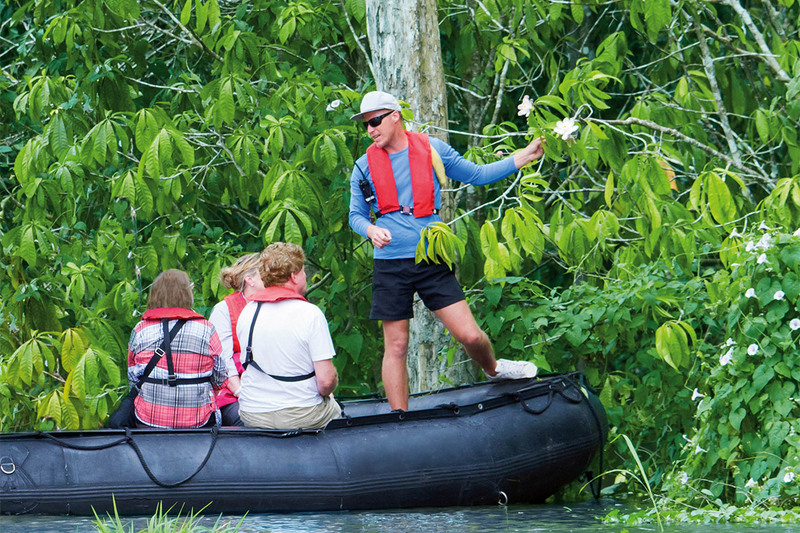 Everyone on board shares a passion for exploration. Even the officers will stand on the bridge, their eyes wide, looking for the blow of a whale. Sightings will be announced immediately over the loudspeakers to ensure that you can enjoy this natural spectacle. 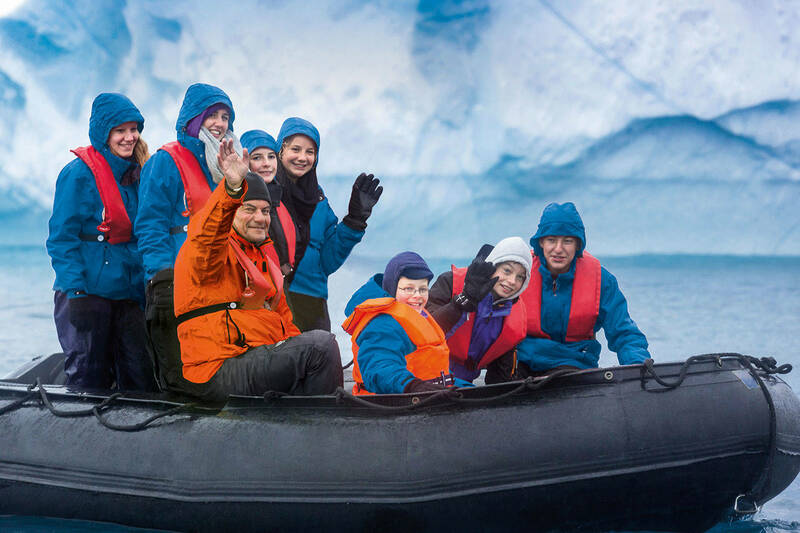 For your trips ashore – for example, on Spitsbergen – a scout boat will be dispatched in advance to find the best landing place for your excursion. Your expedition leader knows where – with a little luck – you will be able to spot some polar bears. In other climate zones, such as the Solomon Islands, they will show you the most beautiful places to snorkel. The famous phrase uttered by polar researcher Robert Edwin Peary (1856 - 1920) could not have put it more succinctly. However, a pioneering spirit needs the powerful support of an ice class to overcome the icy forces of nature safely. Our expeditions ships have been designed completely differently to a "normal" (cruise) ship. For example, their steel plating is thicker and the main ice areas of their hulls are significantly larger. With these attributes, they have qualified for the highest ice class certification. This certification is a prerequisite for extremely evocative yet safe experiences in the icy regions at the poles of the world. Thanks to their ice class (E4), the BREMEN can push broken pack ice aside with ease and even break through ice up to 50 cm (20 in.) thick. This allows them to carve a safe path to the wonders of the Arctic and Antarctic. 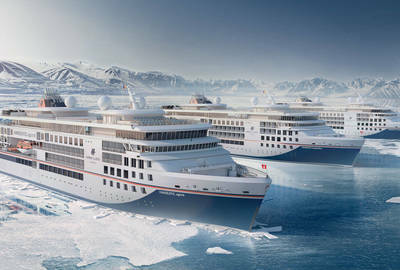 The new ships, the HANSEATIC nature, HANSEATIC inspiration and HANSEATIC spirit (from 2021), will also be extremely stable and fitted with exceptional equipment to allow them to move safely through polar waters. Certified with the highest ice class for passenger ships (PC6), they push broken pack ice aside with ease and can even break through ice up to 90 cm (35 in.) thick. On the expeditions, the Zodiacs are often deployed several times per day. These inflatable rubber boats are perfect for expeditions and can take you ashore whenever there is no harbour. A sense of pure adventure is never far behind. 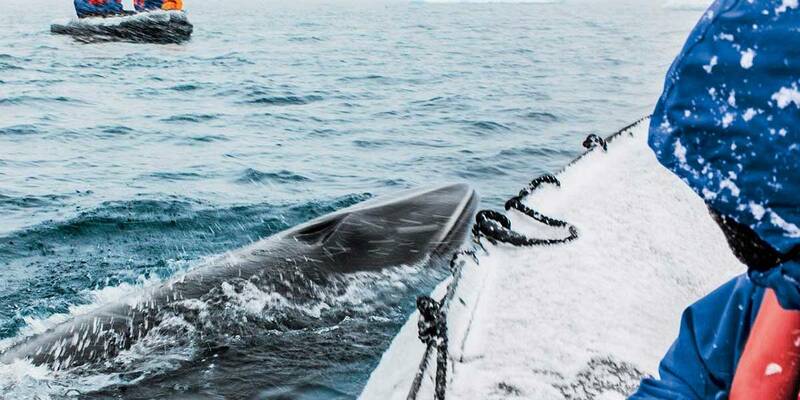 Climb into the Zodiacs in small groups and with no long waiting times, and see the scenery from a unique angle: just a few centimetres above the surface of the water, travel to regions that have remained untouched. The robust inflatable boats navigate through the ice formations of the Arctic and Antarctic and provide an opportunity to enjoy impressive wildlife sightings. You will be joined by experts, who will help you discover special details. 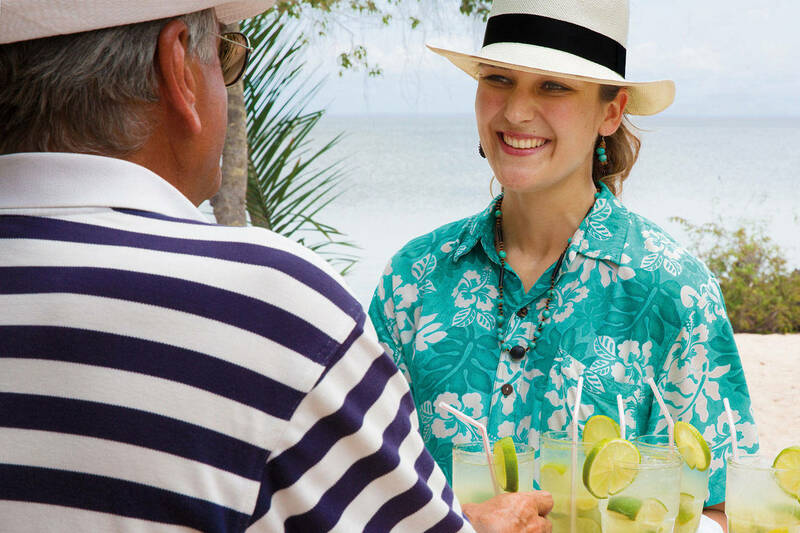 Your excursions are allocated generous amounts of time with plenty of scope for first-hand sightings and exciting new impressions that can only be experienced this way. Zodiacs are designed to handle extreme conditions, and there are 12 on the BREMEN and 17 on the new expedition class. They will be under the control of specially trained operators. 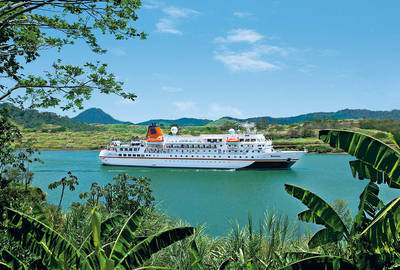 They have also been trained to operate the electric Zodiacs used by Hapag-Lloyd Cruises. At the end of the day, we are all in the same boat when it comes to environmental protection. The many unforgettable experiences on your expedition will make for perfect photo opportunities. And the people on board will provide even more vivid memories. Warmth and a passion for the extraordinary are in their blood. Where the most spectacular regions in the world leave nothing more to be desired, an array of exclusive moments on every expedition will give you a truly personal feeling of well-being. 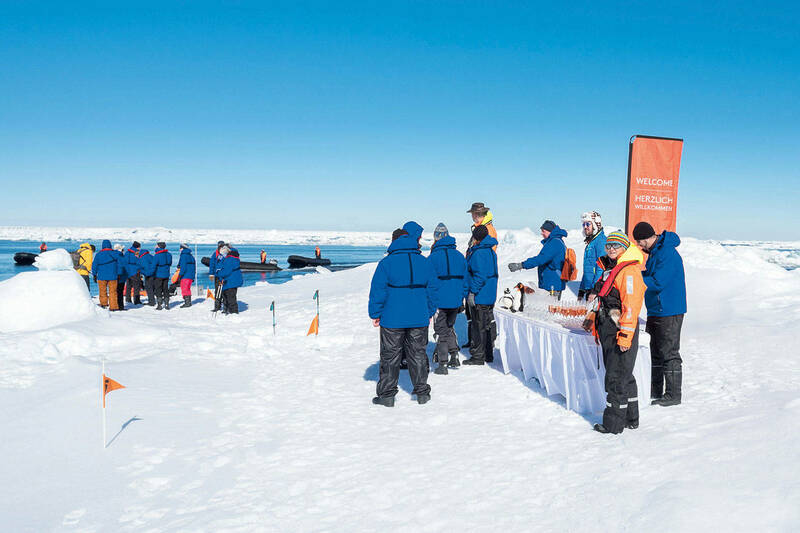 A champagne reception right next to a gigantic ice floe. An ice cream parlour built from palm leaves in the crystal-clear waters of the South Seas. Or fresh glacial ice for your drink. A crew of over 100/175 is there to carry out all the wishes, big and small, of no more than 175/230 guests. Attentive, enthusiastic and pleasantly discreet – your smile is reward enough for us. In 1891, Albert Ballin, director of the Hamburg-Amerikanische Packetfahrt-Aktien-Gesellschaft (HAPAG) sends the flagship Augusta Viktoria to the Mediterranean with 241 passengers. The "inventor of the cruise", Albert Ballin, created a very special way to travel. 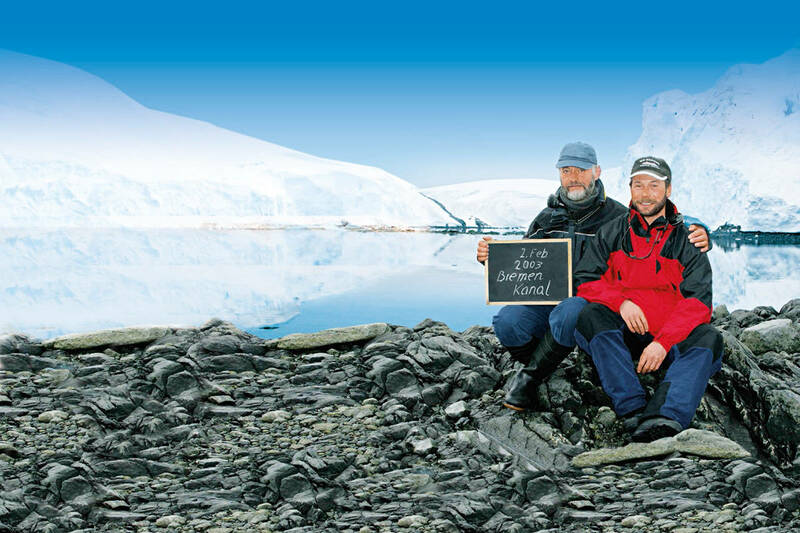 Today, the expeditions with Hapag-Lloyd Cruises continue this tradition. 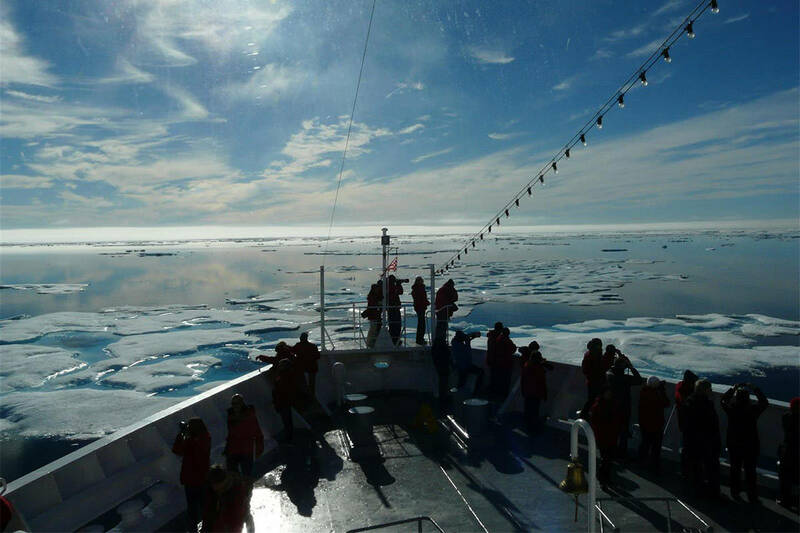 As here in the spectacular terrain of Franz Josef Land in the Northeast Passage or in the icy world of the Northwest Passage, you will also become part of this unique history this expedition season. A true premiere on the ice: In 1996, the BREMEN becomes the first passenger ship to circumnavigate the islands and archipelagos of Spitsbergen. A very special moment for the passengers and crew. Uncharted territory ahead! On an expedition in the Antarctic in 2003, the BREMEN discovers a previously unknown strait of water that leads to an inaccessible island. Since this spectacular discovery, these have been known as the Bremen Channel and Bremen Island. Premiere at the North Pole: In August 2012, the BREMEN passes the 82nd line of latitude in the Arctic Circle for the first time, 887 km from the North Pole! 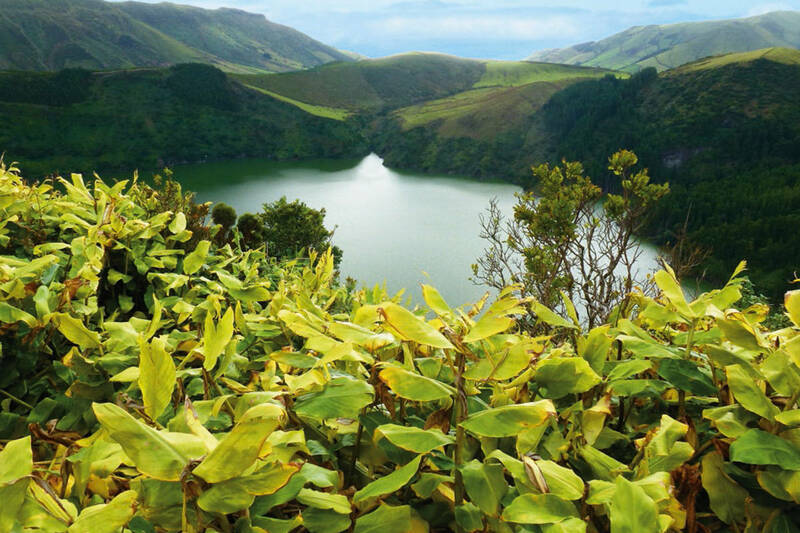 All of the Azores islands in one cruise: In 2013, the BREMEN makes its first trip to all nine of the diverse paradises in the archipelago for breathtaking natural spectacles and whale watching. 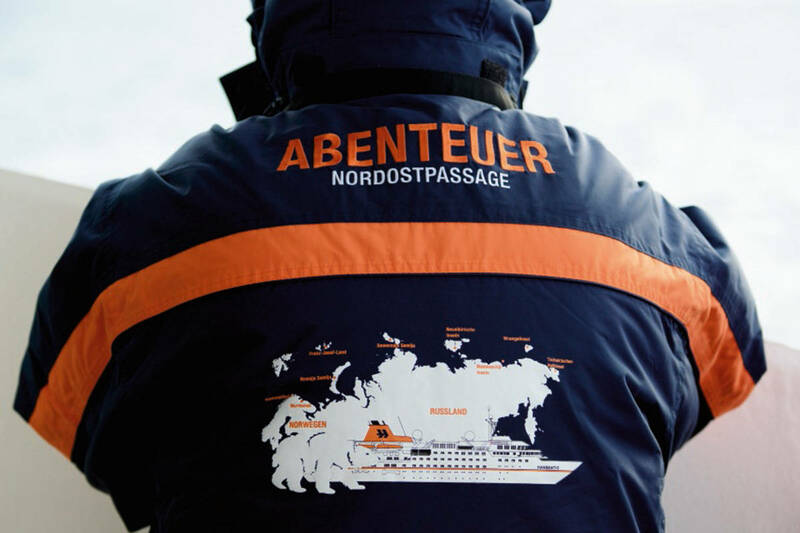 Pioneering endeavours in the Northeast Passage: In 2014, the HANSEATIC becomes the first non-Russian cruise ship to negotiate the legendary sea route – 6,032 nautical miles between the Russian Far East and Europe. 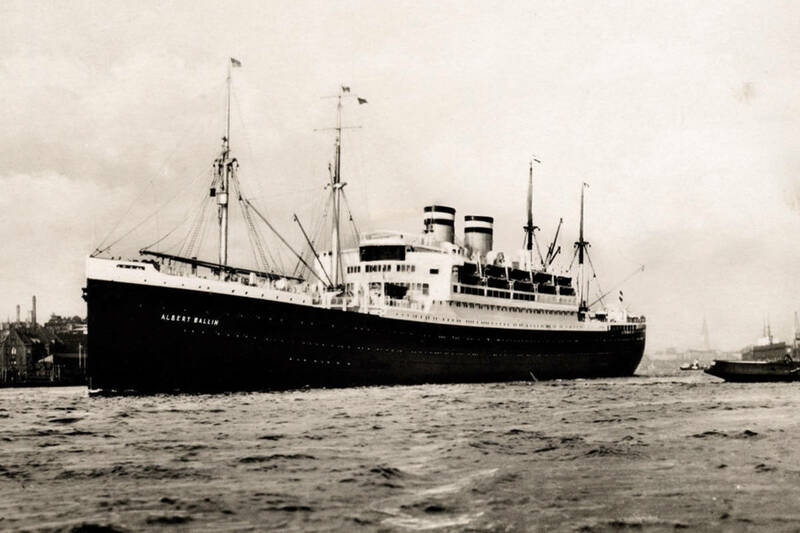 Furthermore, the ship set a new record for passenger ships: the HANSEATIC reached the northernmost point at 85°, 40.7' north and 135°, 39.6' east. This is just 480 km from the North Pole. First! 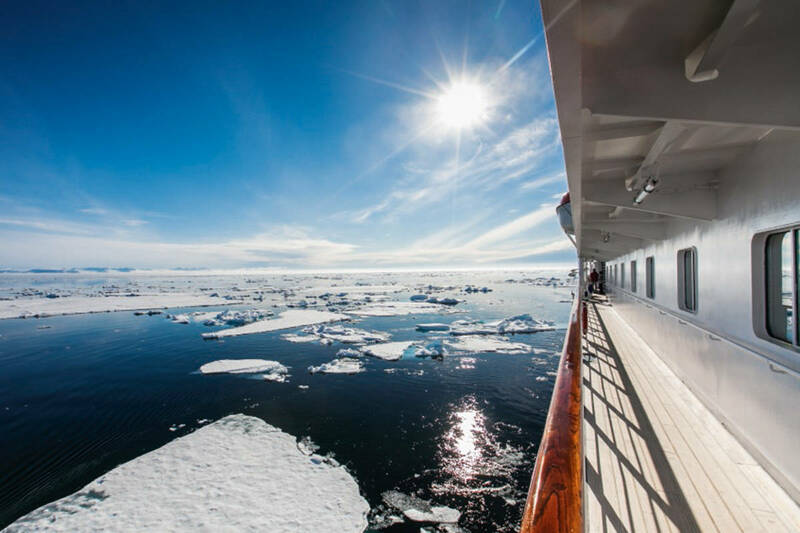 In 2016, the BREMEN became the first cruise ship to pass through the McClintock Channel in the Canadian Arctic. Before this, only two icebreakers had succeeded in passing through this ice-covered sea route. 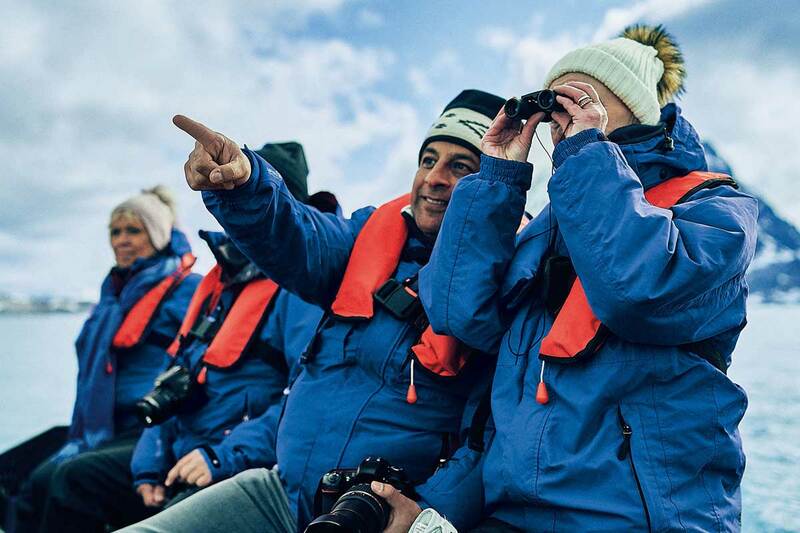 Discovering extraordinary regions, intensive experiences of the world and fascinating insights from well-versed experts - the proven expedition concept from Hapag-Lloyd Cruises is also used on cruises for young discoverers. Varied and entertaining, our experts will impart knowledge and analytical thinking. Whether it's eventful hikes or Zodiac rides, the examination of specimens under a microscope, a spot of navigation, a course on sailors' knots or age-appropriate talks: the crew and a renowned expert offer an exciting programme for those aged 10 to 17 years old, awakening young people's curiosity and encouraging inquiring minds - and giving the entire family an expeditionary experience they will never forget. (Minimum: 5 young explorers)*. The programme has been specially designed for teenagers in order to encourage the curiosity of young explorers. 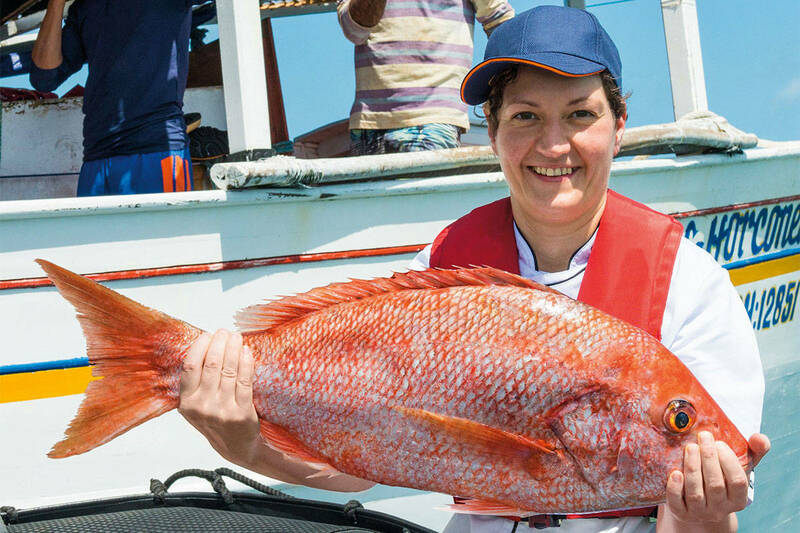 Be it with a spot of navigation on board, Zodiac rides, activities ashore or looking through a microscope, learning oceanography, geology and geography will become a fun activity for children of a similar age. 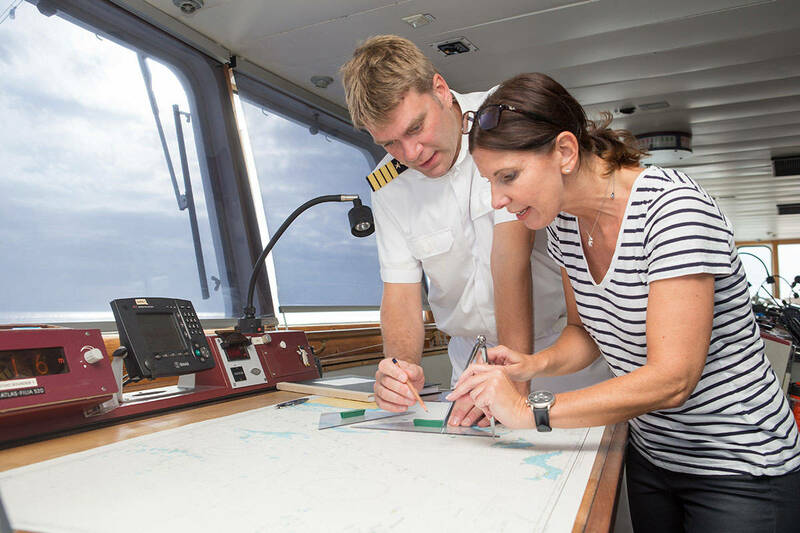 An experienced academic expert and numerous crew members - from the captain to the navigation officer to the ship's cook - will work to ensure age-appropriate learning. Every day, the many discoveries and experiences will develop into a real adventure. 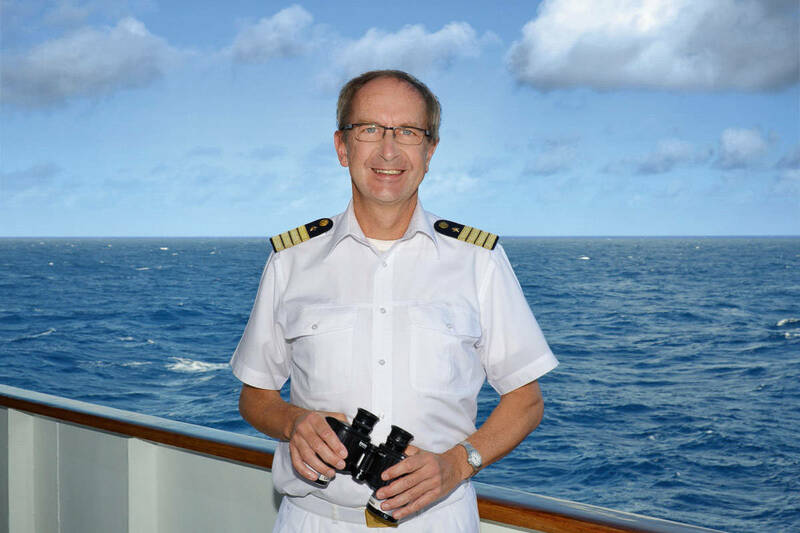 "Landlubbers" will be made into little "mariners" on board - visit the captain on the bridge and take part in question-and-answer sessions with the officers for exciting insights into seafaring - from reading nautical and bathymetric charts to navigating and using the radar and sonar. 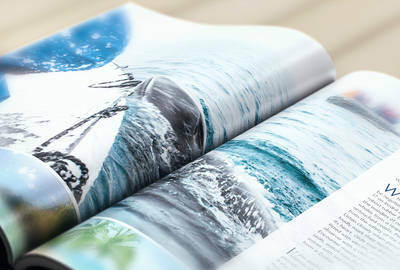 See the raw materials of the sea with your own eyes. For example, research ore that is millions of years old under the microscope as you study geological marine deposits. Studying microfossils under the microscope also provides compelling insights into the history of the oceans. Roll the cameras for the cinema evening - just for kids. With popcorn, of course. Order a pizza with the works during the pizza evening. And if you're a talented scout, you might have a chance at winning the rally through the ship. Full of variety! As holidays should be. *If the minimum can not be reached, the cancellation will follow four weeks prior to depature.